Black History Month is an annual event celebrated in the US (where it is also known as African-American History Month), and in the United Kingdom, Canada, the Netherlands and Republic of Ireland. Black History Month originated in the US, created in 1926 by Carter G. Woodson, an African American historian and publisher who wanted to encourage historians to research and preserve black history and culture. It was originally a one-week celebration, but was extended to a month-long event in 1976 by President Gerald Ford. In the US, Black History Month is celebrated in February to coincide with the birthdays of Frederick Douglass and Abraham Lincoln. The lives of important African Americans are often studied - particularly famous civil rights icons such as Martin Luther King and Rosa Parks. The UK first celebrated Black History Month in 1987, after Ghanaian-born Akyaaba Addai Sebo (a special projects officer at the Greater London Council) visited the US and found out about the celebration. Akyaaba chose October for the UK celebration, the month when African chiefs and leaders traditionally gather to settle their differences. Learning about Mary Seacole is popular in UK schools. Black History Month sometimes comes under criticism. Is it appropriate to limit the celebration of black history to one month, rather than integrate black history into mainstream education all year round, for example? 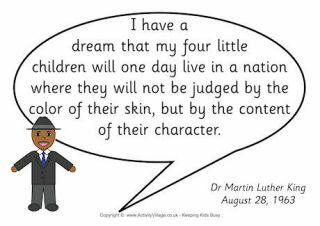 But many people feel it is still an important opportunity to highlight black history, create awareness and honour those who suffered for the sake of racial equality. 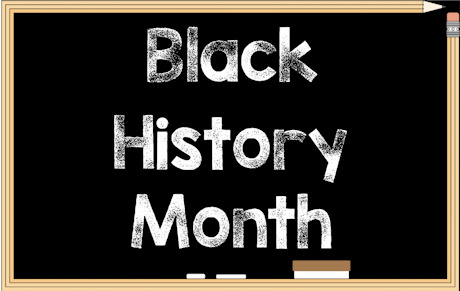 Here you will find some useful Black History Month printables and worksheets. We have included inspirational black people from around the world in this list - leaders, record breakers, scientists, inventors, activists, presidents and more.